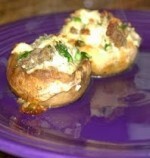 We had a Kentucky Derby Party this year as we normally do and I like to make Kentucky dishes for the races. This year I had a couple items that needed country ham so I bought a whole country ham. Most recipes for cooking a whole country ham include soaking it over night or boiling it to get some of the salt out, but I did not do that. We have a local hole in the wall restaurant that serves shredded country ham and I LOVE it so I wanted to do that for these dishes so I was not as concerned with the salty taste since when shredded you used less ham. I Put the Whole ham in a roasting pan and covered the bottom of the pan with water. Then covered the whole thing in Foil. 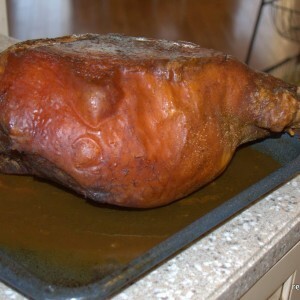 I baked the ham at 350 degrees until the ham reached 160 degrees internally, this took close to 4 hours for this ham. The above picture is of the ham once after it was cooked. I did not get pictures of the carving and shredding. 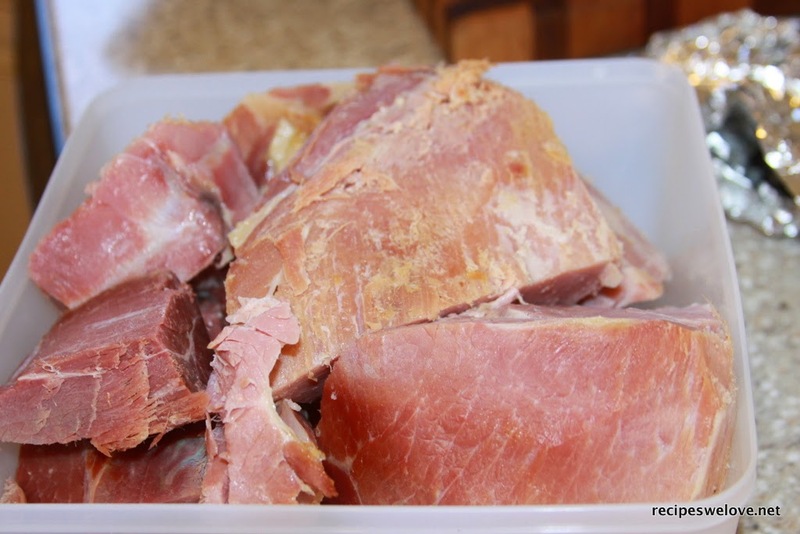 Once the ham cooked and cooled you need to debone and cut off the fat and outer skin of the ham. 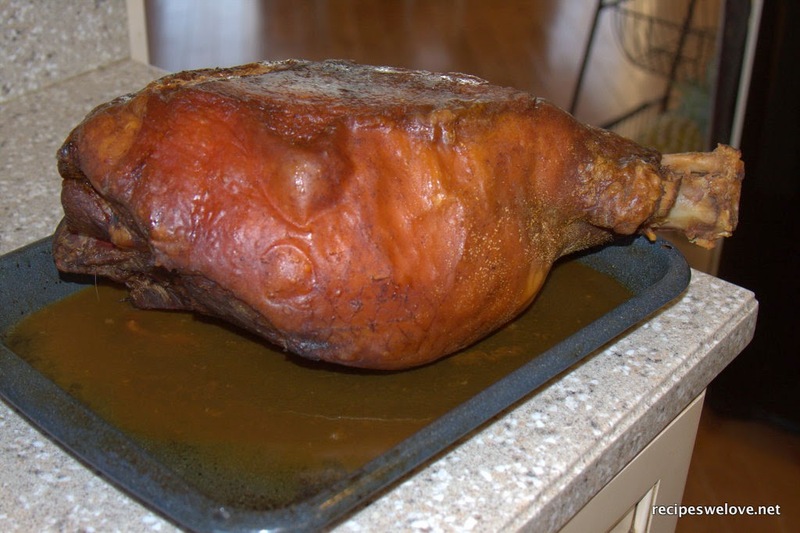 Below is what my ham looked like after that job was done. Then you can cut the ham however you like. I used a meat slicer and cut mine as thin as I could.